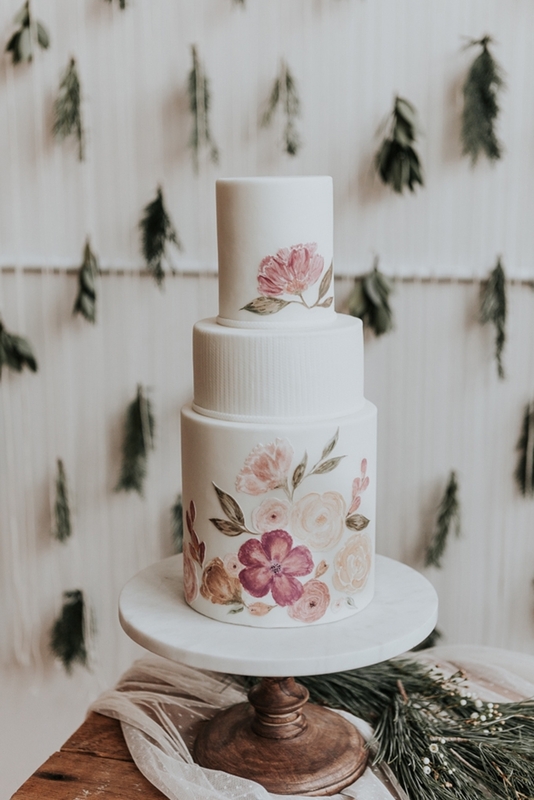 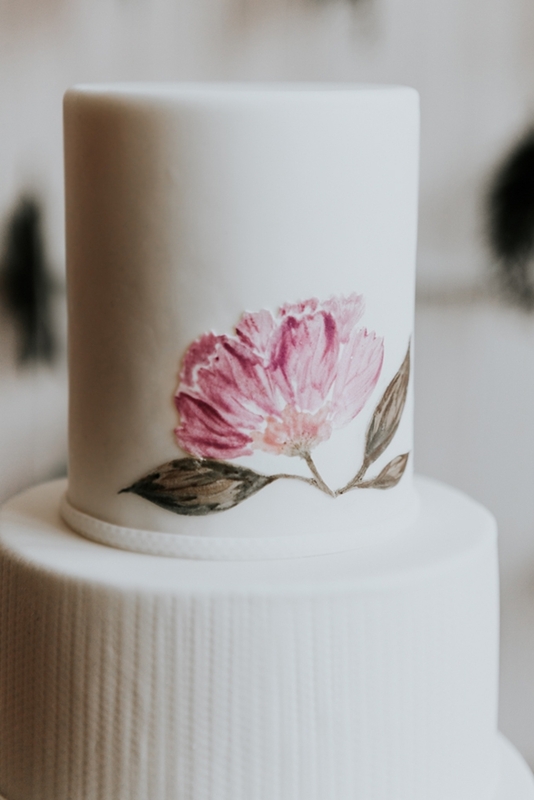 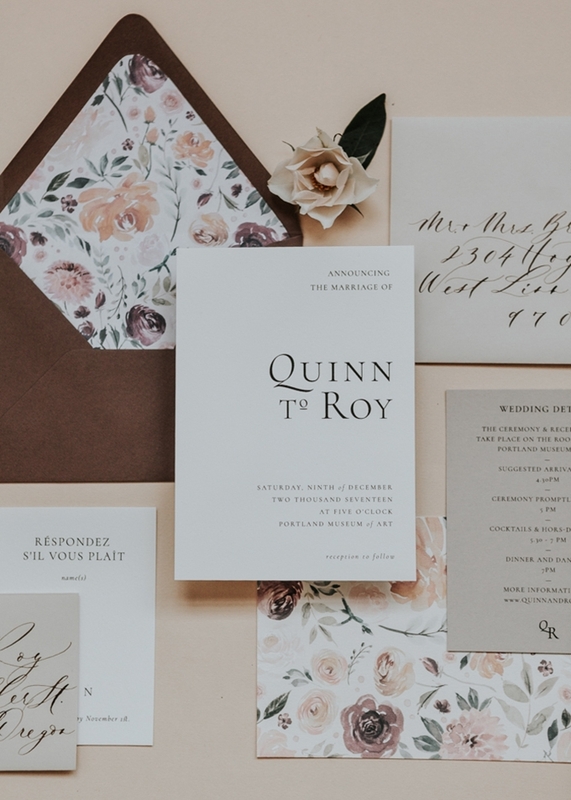 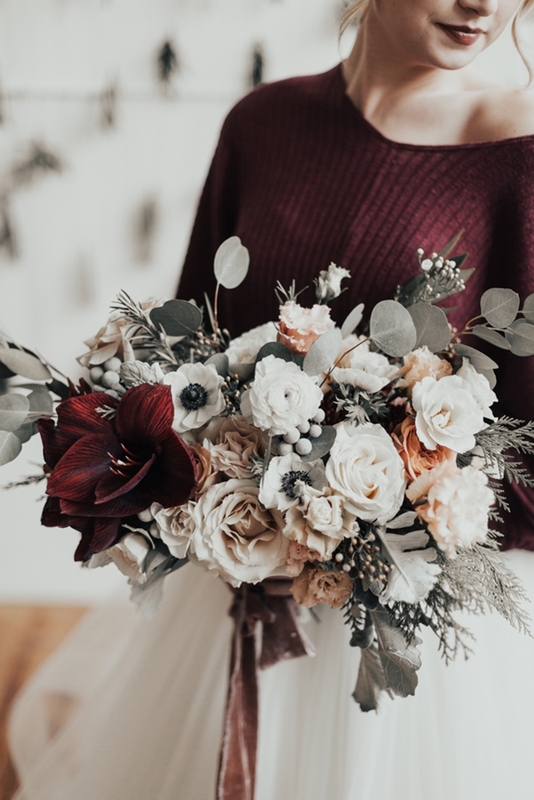 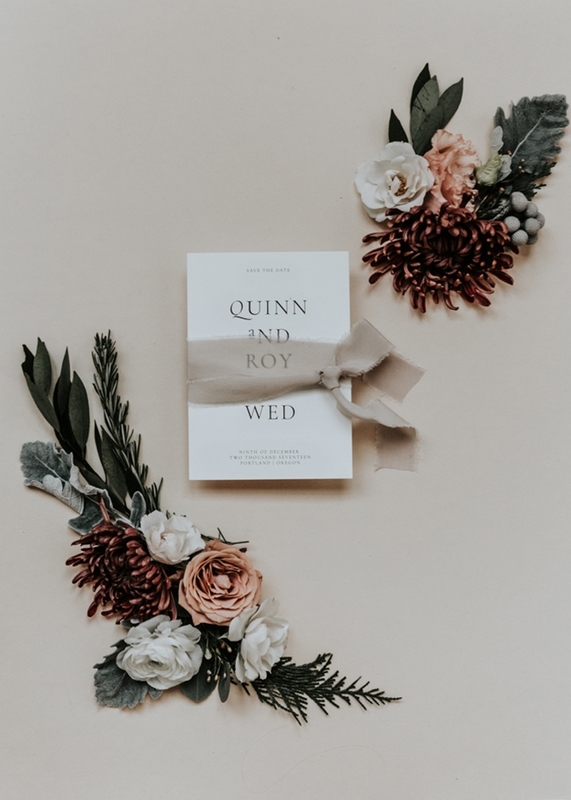 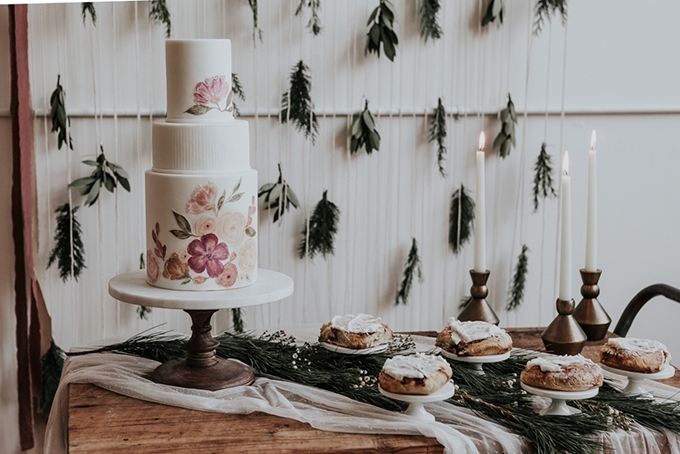 With velvet ribbons, hand-painted cakes, and the chicest invitations, this winter wedding inspiration captured by Sarah Olivia Photography is too romantic for words! 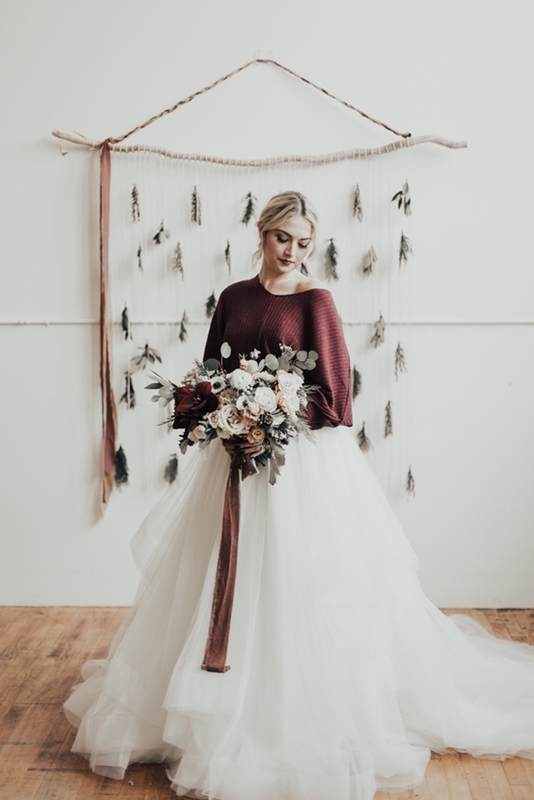 The bridal style is so inspirational, with a giant tulle skirt and sweater combo that would be so lovely for a winter bride. 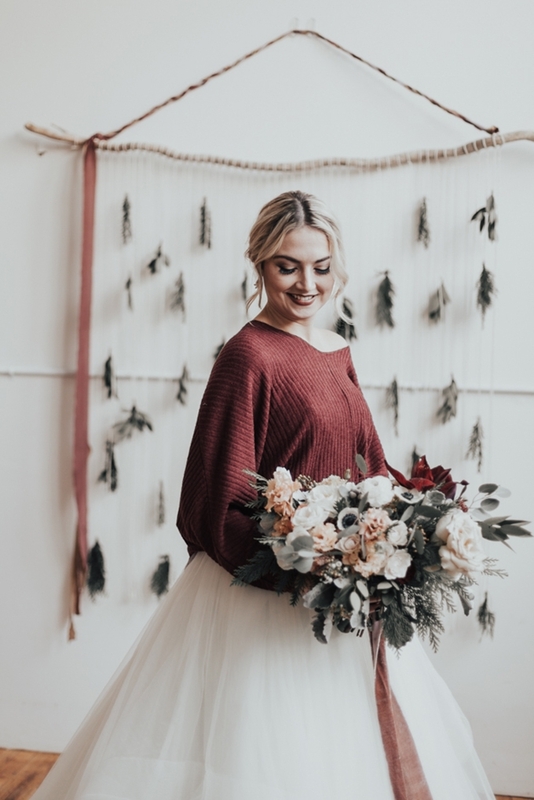 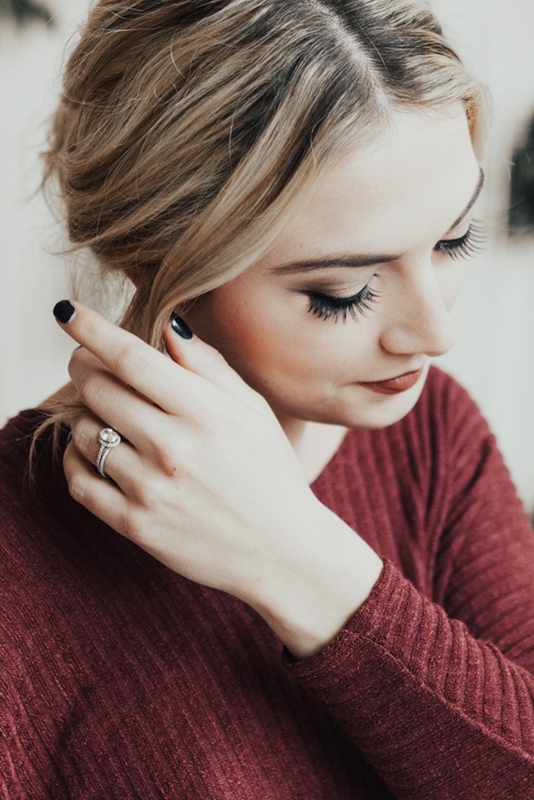 As February rolls in, a chilly month spent indoors snuggling up with warm tea, or making valentines, we reflected on all of those warm feelings for this “Sweater Weather”-inspired shoot. 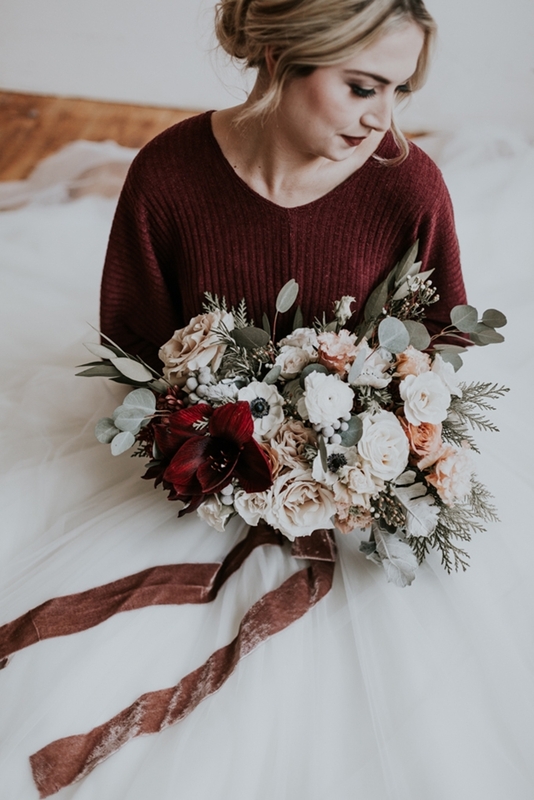 The look is based on soft blush and burgundy, bringing in the romantic feeling of Valentine’s Day. 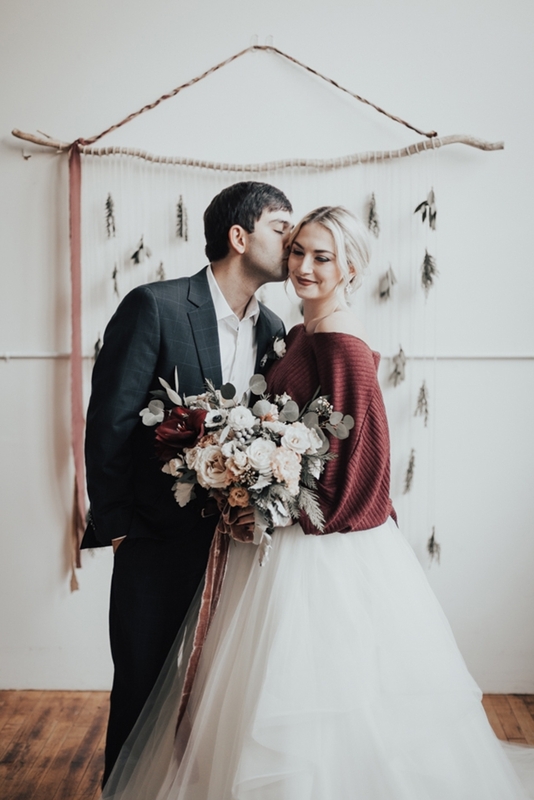 A team of talented wedding professionals collaborated on a lovely tribute to an Oregon wedding day in the winter. 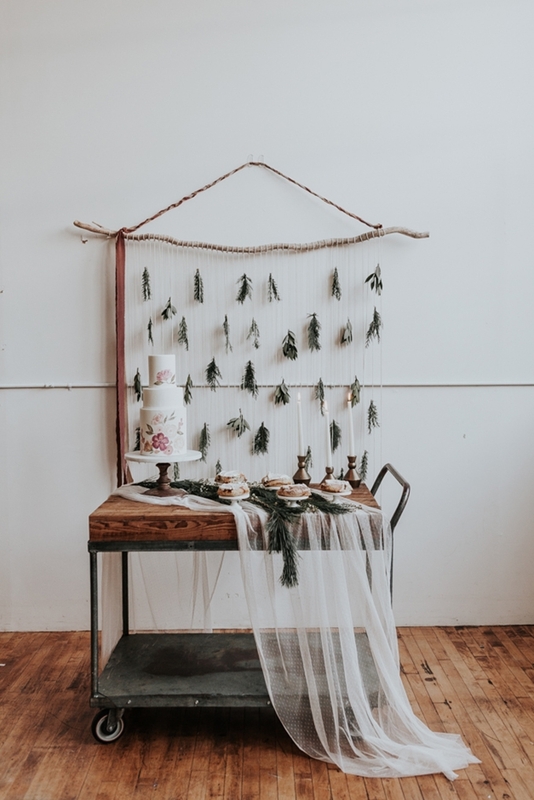 Some elements of cozy: a vintage sweater, delicate florals and greenery, and warm cinnamon rolls adorning the cake table.